Day three of the annual NY2LA Sports Next Level Invitational featured many division 1 prospects and players who found them self on coach's radars. The day featured the championship games for the 2018 NY2LA Basketball Association. Here are some of the prospects that stood out to me. Chandler Turner – 2019 (REACH Legends 17u) - Turner was shooting the lights out all day for REACH Legends and was a big reason why they were able to get out to a big lead in their opening round win over the Crusaders. The knock down shooting wing shoots with consistency and can score the ball in bunches. His high release point makes it difficult for defenders to deflect his shot. The 6-6 wing finished with a team high 18 points in the win. Deonte Billups – 2019 (Quad City Elite 17u) - The high motor 2019 prospect was extremely active on both sides of the floor for Quad City Elite. He does a great job of elevating up and grabbing rebounds and often turns them into second chance buckets. He can score from all three levels when he gets going but is at his best when he is in attack mode. Billups has proven that he can defend multiple positions and cause chaos on the defensive side. Don't be surprised if Billups recruitment starts to pick if he continues his strong play throughout July. Zach Toussaint – 2019 (Kessel Heat 17u) - Toussaint has proven that he can carry the load for Kessel and do whatever it is that his team needs him to do. Offensively he can drop dimes and score the ball at a very high rate. One of the best shooters of the 2018 NY2LA Basketball association Toussaint can light it up from beyond the arc and is able to get his shot off in tight spaces due to his quick release. 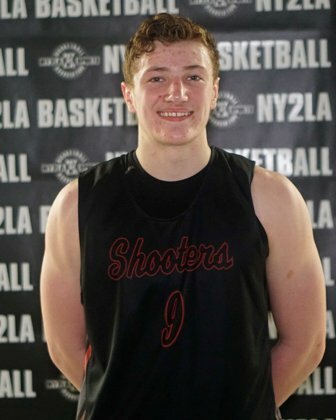 Cole Dakovich – 2020 (WI Shooters 16u) - Dakovich was outstanding for the Wisconsin Shooters in the 16u NY2LA Basketball Association championship game. He was getting almost everything and anything he wanted to in the paint using his strength, moves, and footwork. The 6-6 forward has a high motor that allows him to out hustle his opponents and play with the type of energy that coaches love to see on both sides of the floor for the full length of the game. He finished with 20 points in the championship game. Cole Henry – 2019 (Martin Bros 17u) - Henry impressed us in the first two days of competition but he brought his game to a whole different level on Friday. Henry is a strong, long, physical, and athletic forward who goes after it on both ends of the floor. He is versatile for his size and has proven himself as a very good and smart passer as well. He lets the game come to him and doesn’t seem to force anything that he shouldn’t. The 6-9 forward should see his recruitment pick up over the course of this July open period. Tamin Lipsey – 2022 (All Iowa Attack 16u) - The highly touted 2022 prospect was on full display for All Iowa Attack in their big win in the opening round game. He is extremely skilled for being at such an early stage in his development. He is very athletic for his age but what impressed me most was his basketball IQ and how it stood out playing up two age levels. He showed that he can score and finish around the rim through heavy contact throughout the game. Lipsey finished with 15 points in the win. Carlos Ramsey – 2019 (Milwaukee Spartan-Rebels 17u) - Ramsey has proven himself as one of the top 2019 prospects in the badger state and he is backing that up this week. The left-handed wing is relentless when attacking the rim and finishes through contact as well as anyone we've watched this weekend. 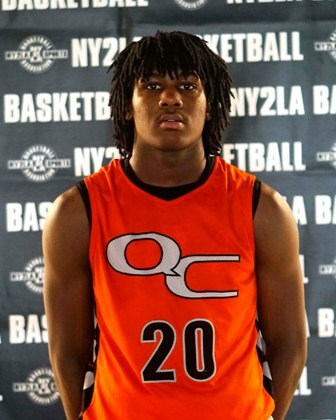 He is a legitimate division 1 prospect and will continue to gain strong interest throughout July. Ramsey finished with 14 points in Spartan-Rebels win earlier in the day. Isaiah Rivera – 2020 (Quad City Elite 16u) - Rivera continues to rise his stock and will continue to earn high major interest/offers through the next year. He impacts the game almost every possession for Quad City as he has the ability to affect the game in so many different ways. When he is in attack mode defenses have a hard time stopping him from scoring the ball. Rivera through down a monster alley-oop jumping over a defender and slamming it with two hands. Martin Macenis – 2019 (ET21 Buckeyes 17u) - Macenis impressed during the NY2LA Sports invitational and has done the same so far this week. He is a scoring wing with good size and instincts. He can score from all three levels and has been doing so all weekend. His jump shot is pretty, and he hits both midrange and three-point shots with consistency. He has had college coaches buzzing so don’t be surprised to see his recruitment pick up over the course of July. Nathan Johnson – 2019 (Kingdom Hoops Elite 17u) - Johnson had a breakout performance in Kingdom Hoops Elites win showcasing a variety of different skills. He was scoring off the bounce and creating his own space with ease. He is more athletic than he looks as he was scoring above the rim all game long and out jumping his opponents with ease for rebounds. He erupted for 12 second half points in Kingdom Hoops win. LJ Henderson – 2020 (Quad City Elite 16u) - Henderson had a very good day for Quad City Elite showing that he is a good lead guard who can control the pace of the game. He proved he doesn’t have to score at a high rate to be one of the more productive players on the floor. When the game would start to get out of control and sloppy Quad City would put the ball in his hands and he would settle things back down. LJ Henderson will be an interesting 2020 prospect to watch develop over the next 6-12 months. 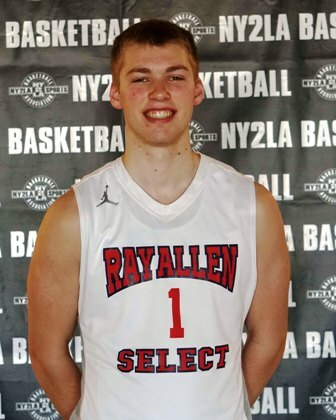 Marcus Domask – 2019 (Ray Allen Select 2019) - Domask is one of the top prospects in the NY2LA Basketball Association and he once again proved it in the championship game. Domask is extremely productive every single game and can do a little bit of everything offensively which is why he is high on many division 1 coaches list. He scored a ton of his points in the post where he can take advantage of smaller opponents and score almost every time he attacks the rim. Domask finished with 20 points in Ray Allen’s win over Michigan Playmakers.